Dawkins, probably thinking about his possible doppelgängers. Do you think any famous atheists look like celebrities? Prepare yourself for some great look-alikes. The last one is really magic. I think philosopher Daniel Dennett is a pretty easy call. He looks like he moonlights as Santa Claus. 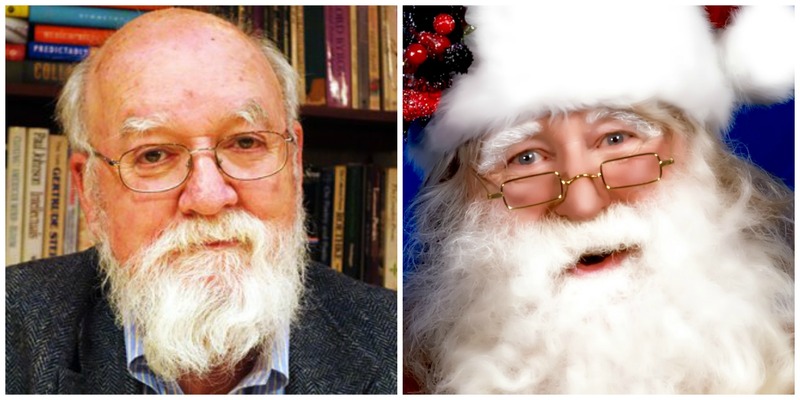 Dennett isn’t the only person who looks like Santa Claus, of course. Charles Darwin also makes a pretty good one. Darwin was thus an atheist with regard to the Christian God, but not an atheist period. His beliefs fluctuated during the last three decades of his life. . . . Darwin was not simply agnostic in the sense of not knowing whether or not there was a God. He came to doubt whether the human mind, being evolved from that of a “lower” animal, could know such things. 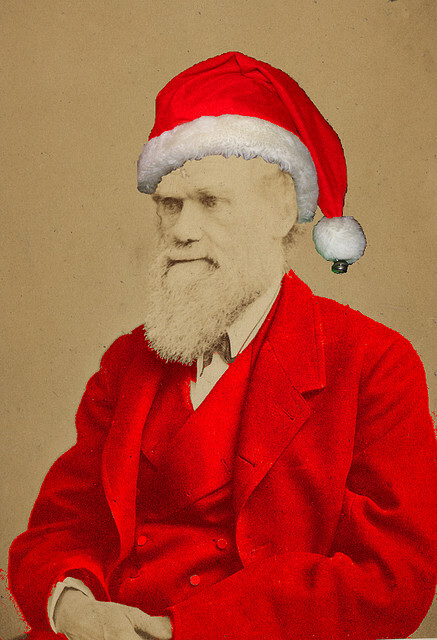 While Darwin wasn’t an atheist, I still had to include him in this post after I found his Santa picture. 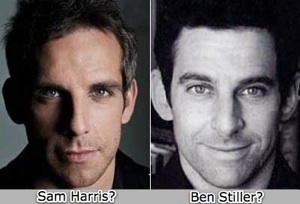 Next up is Sam Harris, who bears a remarkable resemblance to actor Ben Stiller. I’ve heard this comparison for years, but I just saw a slightly different take on Harris’s doppelgänger. Does Harris look more like a combo of Ben Stiller and actor Seth Green? This comparison is pretty good. This last one will blow your mind. What magic is this?! What do you think of these comparisons? Do you have any other good ones to share? Hey Mike! Toss James Randi in the Santa bucket as well. I see a trend forming here with aging atheists. Great point! I found a funny comparison of them: http://cheezburger.com/3202754560. Ha, nice comparison! 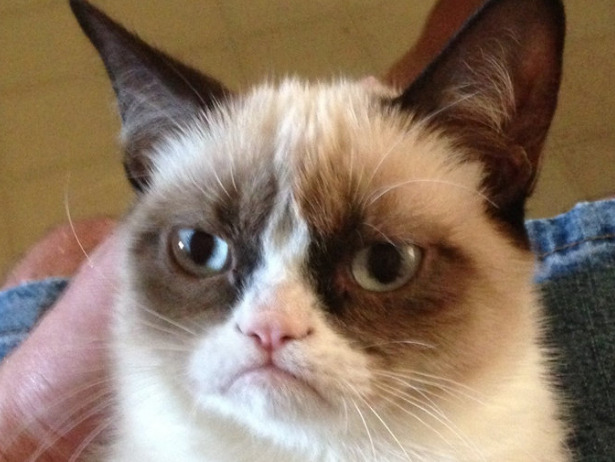 Grumpy cat does look a little like that Dawkins picture.